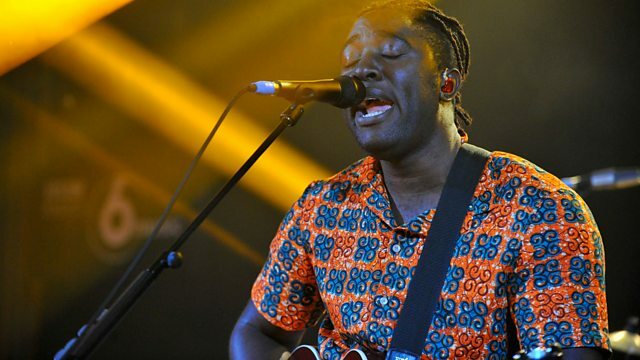 Lauren is live at Maida Vale with a live concert from Bloc Party. In the first of our week of concerts from some of the best bands around, Lauren is joined by none other than Bloc Party. 6 Music Live has been coming to Maida Vale since 2012, with the likes of Richard Hawley, Underworld, Foals, Paul Weller and Goldfrapp all playing for your lunch-time listening pleasure. And this year, we begin with none other than the returning Bloc Party. This is the first gig they've done in the UK since their line up change, and Kele is no stranger to Maida Vale; there are photos of him lining the corridors. Following his second solo record - released earlier this year - and with a new album due shortly, Kele Okereke and band will no doubt be showering us with some brand new, unheard music as well as some of the classics. Remember, you can listen live on 6, or watch on BBC Red Button on your TV.